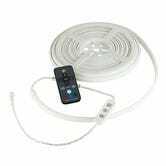 Looking to light your campsite, balcony, patio, bedroom, or the back of your TV? Power Practical has you covered. The flagship of Power Practical’s lineup is the Luminoodle Basecamp, a twenty foot long (! ), 3000 lumen (! ), waterproof, illuminating rope with lighting modes that would make a gaming keyboard blush. The BaseCamp is waterproof and includes plugs for both AC outlets and car sockets, plus numerous straps and magnets to cover any hanging scenario. I installed the Basecamp on my balcony railing, and am going to need another one for camping. 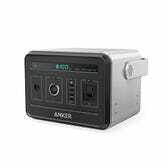 Bring along something like the Anker PowerHouse, which we’ll be covering soon, to keep it going for ridiculous amounts of time. The significantly cheaper Luminoodle Color is 1/4th the length of the Basecamp, 450 lumens, and powered via USB. 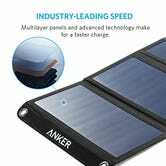 That opens up a huge number of ways to power the color, from external battery packs to solar panels to camping stoves. Beyond outdoor uses, the Luminoodle Color is a great option for accent lighting in places like your bedroom or under your desk- places you probably already have spare USB ports. For gamers already rocking RGB light shows on their mice, keyboards, headsets, and mouse pads, under-desk RGB lighting will blend nicely. It’s also a pretty great mouse mat.